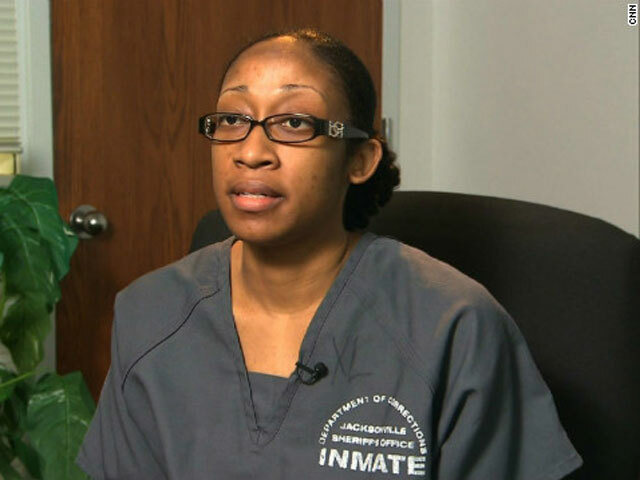 Fla. woman Marissa Alexander gets 20 years for "warning shot": Did she stand her ground? (CBS) - Last Friday, Jacksonville mother Marissa Alexander was sentenced by a Florida judge to 20 years in prison for firing what she says was a "warning shot" into the wall after a physical altercation with her husband, Rico Gray. The case has set off yet another controversy involving the state's "stand your ground" law, which is under intense scrutiny after the shooting death of Trayvon Martin in February. Critics, including Congresswoman Corrine Brown (D-Fla.), are crying foul. How, they ask, could a 31-year-old woman in a relationship with a man who had a history of domestic violence, and whose actions did not result in any physical injury, be sentenced to two decades in prison while George Zimmerman, the man who shot and killed Martin, is out on bail? "The Florida criminal justice system has sent two clear messages today," Rep. Brown said in a statement on May 11. "One is that if women who are victims of domestic violence try to protect themselves, the "Stand Your Ground Law" will not apply to them...The second message is that if you are black, the system will treat you differently." According to a sworn deposition taken in November 2010, Gray, 36, said that on August 1, 2010, he and Alexander began fighting after he found text messages to Alexander's first husband on her phone. The two were already estranged - according to her father, Alexander had been living at her mother's since the birth of the couple's daughter nine days earlier, and Gray, a long-haul trucker, said he spent the night before in his tractor-trailer. Gray began calling her names, saying "If I can't have you, nobody going to have you," and blocking her from exiting the bathroom. Alexander pushed past Gray and went into the garage where she got her gun from her car's glove compartment. Gray told prosecutors in the deposition that Alexander came back into the house holding the weapon and told him to leave. He refused, and what happened next is somewhat unclear. In his deposition, Gray said "she shot in the air one time," prompting him and the children to run out the front door. But when Gray called 911 the day of the incident, he said "she aimed the gun at us and she shot." In August 2011, a judge rejected a motion by Alexander's attorney to grant her immunity under the "stand your ground" law. According to the judge's order, "there is insufficient evidence that the Defendant reasonably believed deadly force was needed to prevent death or great bodily harm to herself," and that the fact that she came back into the home, instead of leaving out the front or back door "is inconsistent with a person who is in genuine fear for her life." Alexander's case was prosecuted by Angela Corey, the Florida State's Attorney who is also prosecuting George Zimmerman. Alexander was charged with aggravated assault with a deadly weapon, and because she discharged a firearm during the incident, the case fell under Florida's "10-20-life" law, enacted in 1999, which mandates a 20-year sentence for use of a gun during the commission of certain crimes. Corey initially offered Alexander a three year deal if she pleaded guilty to aggravated assault, but according to CBS affiliate WTEV, Alexander did not believe she had done anything wrong, and rejected the plea. Her bet did not pay off: the jury in the case returned a guilty verdict in less than 15 minutes. Now, Alexander's family is looking for a new attorney to take the case on appeal and plans to ask the governor for clemency. "I know that she truly tried to defend herself," says Lincoln Alexander, Alexander's first husband. Rep. Brown is helping. The Congresswoman told Crimesider she has contacted several attorneys about taking the case and is helping the NAACP plan a May 29 march in support of Alexander. According to Mitchell Stone, a Jacksonville defense attorney who has tried numerous stand your ground and domestic violence cases, there were several problems with Alexander's case. First, according to court documents, Alexander violated her bail by returning to the home where the shooting incident took place several months later. "A lot of people would say, if she's so afraid of him, what's she doing going back there?" says Stone. Second, as the judge pointed out in the ruling that denied stand your ground immunity, presumably Alexander could have fled the home through the back door instead of returning to the house and confronting Gray. "Obviously, the jury believed the state's position, that she went into garage to get the gun and make a stand, and that's not going to be tolerated," Stone says. Stone says the case is "not perfect from a defense perspective," but believes Alexander may have grounds for an appeal based on the judge refusing to admit testimony from witnesses who could tell the jury about Gray's history of violence against women. And there are disputes about significant facts in the case, including whether Alexander could have escaped out the garage instead of getting her gun and returning to the house; Gray said he "knew she couldn't leave out the garage door because the garage door was locked" in his November 2010 deposition, but in her ruling against allowing Alexander "stand your ground" immunity, Judge Elizabeth Senterfitt wrote that "there was no evidence presented to support her claim." "You can't shoot a gun at people," says Corey. "It ricocheted from the wall to the ceiling, but what if it had hit someone?" Alexander's case is bringing scrutiny to mandatory minimum sentences, which Stone says "take discretion out of judges' hands" and essentially hand that power to prosecutors, who already decide which charges to bring. Corey, for example, could have charged Alexander with straight aggravated assault, instead of adding the gun charge, but she told Crimesider that once Alexander rejected the plea deal, she felt it was her duty to charge according to the law. As Corey put it, "She discharged a gun to kill them, and she has to answer for that." Her decision didn't surprise Stone: "When Corey took office in 2008, part of her platform was getting tough on gun crime." While Florida's Gov. Rick Scott has convened a task force to look at the state's "stand your ground" law in the wake of the Trayvon Martin case, Stone says that people lobbying to repeal mandatory minimums are in the "extreme minority." So, while Alexander waits in prison, her family and supporters insist her conviction and long sentence are a grave miscarriage of justice. They've created a website to spread the word about Alexander's case and raise money for an appeal. Alexander's father, Raoul Jenkins, told Crimesider that his daughter had had a licensed gun for years and the two had been to the shooting range together. "If Marissa wanted to shoot anybody she could," Jenkins says. "But that was not her intent. Her intent was to diffuse the situation without anyone getting hurt or killed."